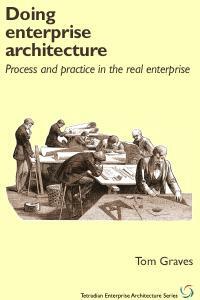 What’s the role of theory in enterprise-architecture? 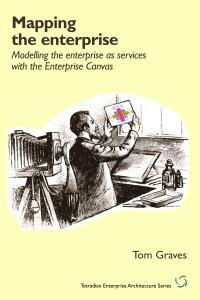 Could there be such as thing as ‘the theory of enterprise-architecture’? Can we use that theory, for example, to separate useful EA models from useless ones? 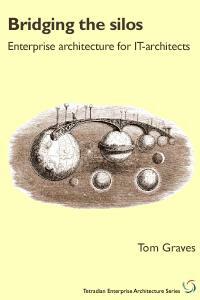 [Tom Graves] posits that the theory of EA, if one were to be described, cannot be used to prove the value of an EA design. The not-so-subtle hint is that there is, therefore, no value in creating a theory at all. Because an implied assertion that “theory has no value in EA” is not what I’d meant. At all. 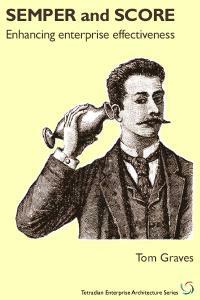 But if he’s interpreted it that way, then I evidently haven’t communicated well enough what I actually meant. 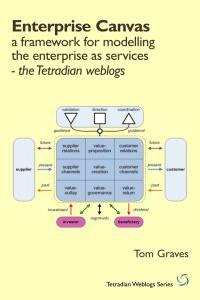 What is the theory underlying enterprise-architecture? What worries me is that implicit in the question “What is the theory underlying EA?” is an assumption that in terms of how we use theory, we’re still operating solely within the linear-paradigm: for example, that there must somehow be an identifiable linear or ‘deterministic’ chain between [apparent] cause and [apparent] effect. Reality is that that just ain’t how it works here. Note that I’m not dismissing theory outright. Instead, what I’m saying there is that within contexts such as enterprise-architecture, we need to regard theory as ‘problematic’, in the formal methodological sense: theory itself as a methodological concern within which we need to be really careful about our assumptions and paradigms and the like. So yes, actually, I do doubt that we could – or even should attempt – to derive a single ‘the theory of enterprise-architecture’, because experience shows that such theories are invariably based on undeclared assumptions and unexamined paradigms. Instead, what we need for enterprise-architecture is a much more solid understanding of metatheory – literally, ‘theory of theory’ – which will help us to test theory itself, and thence help us to know which type of theory to apply in any given context, and how, when and why to use that theory, and also how to link all of the different types of theory together into a unified whole. It turns out that an eerie type of chaos can lurk just behind a façade of order – and yet, deep inside the chaos lurks an even eerier type of order. To put it bluntly, the short-answer to any “My brain ‘urts…” complaint is “Too bad.” – it’s what the discipline demands of us, so we’s gotta deal with it, ain’t we, whether we likes it or not? Nick’s comment that “Grown ups use proven science” is fair enough as far as it goes, yet in practice the science that we need will often look a lot more like Hofstadter’s “eerie type of chaos” than the linear-paradigm’s pretensions of ‘order’ – and even the concept of ‘proven’ often turns out to be a lot more problematic than it might seem from the cursory glance that is all it’s usually given by some supposed ‘grown up’. In short, again, it’s kinda tricky… but it’s a ‘tricky…’ that we must face properly if we’re to get anywhere with this. Typically, in science, we start with observations. Observations are objectively real. They should be mathematical and measurable. They exist within a natural setting and may vary from one setting to another. We may observe a relationship between those observations. The goal is to explain those observations in a manner that is good enough to predict outcomes. To do this, we suggest a hypothesis, which is simply a guess. We then see if we can prove or disprove the hypothesis using data. 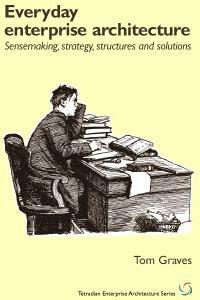 If we cannot disprove the hypothesis, we have passed our first test. We use the hypothesis to predict new observations. We then check to see if the predictions are correct. If so, we have a useful theory. No. I can understand why people might say that, but the reality is that it risks being seriously misleading, because every observation is in some part subjective. And that’s true even with observations that are primarily by or through physical-instruments – the closest we can probably get to genuinely ‘objective’ – because the choice and placement and configuration of instruments will itself always be in part subjective. That’s an assertion that we could make here, yes. (Note the ‘an‘ there: indefinite-article, not definite-article. That’s important.) It’s an assertion of a characteristic of observations that, yes, is highly-desirable for some purposes. Is it an unproblematic assertion? No. As with all risks around ‘solutioneering’, we need to start from the context first, and only then decide on methods and measurements (if any) – not the other way round. Largely agreed, though note that even this isn’t unproblematic. What do we mean by “a natural setting”? What are the consequences and potentially-unacknowledged constraints that arise from our chosen concept of “a natural setting”? When we say “may vary from one setting to another”, what are those variances? What account do we need to take of factors such as ‘variety-weather‘ – variety of the variety itself within that given context? Again, yes, that’s an assertion that we could make here. It’s actually hugely problematic, particularly around the terms ‘explain’ and ‘predict’. Both terms fit easily into the linear-paradigm, of course; but there are very good reasons why complexity-science and the soft-sciences talk more about understanding than explaining, and why the formal discipline of ‘futures’ is a plural – not the singular ‘the future’ – and explicitly rejects the linear-paradigm’s concept of ‘predicting the future’. Given that enterprise-architecture tends more to the socio-technological rather than the solely-technological, that suggests a nature – and hence theory-base – that fits more closely with complexity, soft-sciences and futures than it does with the linear-paradigm. Sort-of – though again, beware of the inherently-problematic nature of ‘explanations’ in this type of context. And whilst, yes, we could describe hypothesis as “simply a guess”, there’s actually a lot more to it than that: see, for example, the chapter on ‘Hypothesis’ in Beveridge’s The Art of Scientific Investigation, or the comments by Chris Chambers in my post ‘Hypotheses, method and recursion‘. In principle, yes; in practice, once again, it’s a lot more problematic than it might seem at first glance. As we’ve seen above, observations, algorithms, measurements, apparent-relationships and hypotheses all carry significant subjective elements which, if we don’t explicitly set out to surface them right from the start, can lead us straight into even such elementary traps as circular-reasoning. For example, we need to be really careful about the implications here of Gooch’s Paradox, that “things not only have to be seen to be believed, but also have to be believed to be seen”. Yes, sort-of – though again we need to beware of routine rationalisation-risks such as circular-reasoning, and also the many, many forms of cognitive-bias. Ditto re ‘prediction’, and ditto re ‘correct’: we can get away with this kind of simplification in a tightly-constrained, tightly-bounded context with only a handful of linear factors in play, but not in a context that has the kind of inherent complexities and ‘chaotic‘ (uniqueness etc) elements that we see routinely at play in enterprise-architectures. Given that many of the contexts that we work with can change even by the act of observing them – such as in the ‘Hawthorne-effect‘ – we need to be very much aware of how problematic any notions of ‘prediction’ can really be in real-world practice. Yes, we do – if we’ve properly acknowledged and worked with the subjective-elements and complexity-elements, that is. If not, then probably not… – in fact a real risk of something that’s dangerously misleading, the kind of fallacious ‘self-confirming prophecy’ typified by targets and similarly ‘logical’ ideas that just don’t work in any real-world business context. Note, though, that there’s a really interesting shift implicit in Nick’s last phrase above. All the way down so far, it’s been about purported ‘proof‘, “check to see if the predictions are correct” and suchlike. In other words, the linear-paradigm’s concept of ‘true/not-true’. Yet here we shift sideways from ‘true‘ to ‘useful‘ – in effect, from ‘science’ to technology, and the fundamental shift in modes and disciplines that go along with that change. 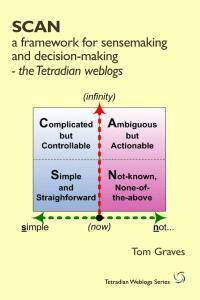 That one shift changes the entire tenor of all that’s gone before in Nick’s description of his ‘theory of EA’ – and, for the practice of enterprise-architecture, it’s a shift in theory which which I would strongly agree. Notice, by the way, how I did that analysis above. In effect, I’ve taken almost exactly the same concept of theory that Nick has described – observation, apparent-relationship, hypothesis, evidence, test – and then applied it to itself, as theory-on-theory: in other words, metatheory. We use metatheory to identify aspects of theory that are potentially-problematic – exactly as above. SCAN is an example of what I call a ‘context-space map‘ – a frame that we can use to guide or thinking about a given context. 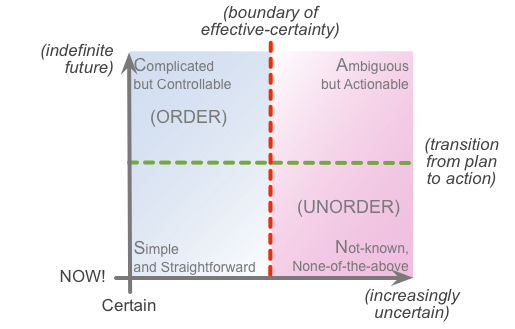 Its underlying theory – such as it is – is that we can usefully (there’s that word again) map out our understanding of a context, and what happens in that context, in terms of two distinct dimensions: distance in time from the ‘NOW!‘, the moment of action; and certainty versus uncertainty. If the respective part of the context is repeatable, a truth-based or proof-based theory will work: that’s what we see over towards the left of the frame. (Notice, by the way, that truth-based models tend to work rather better in theory, somewhat away from the ‘NOW!‘, than they do in practice, right up against the real-world ‘NOW!‘…) But if the respective part of the context is not repeatable, in part or whole, then a truth-based model either will not work, or, worse, might not work – ‘worse’ in the sense that it will work well sometimes but not others, without itself being able to explain what’s happened. Imagine that, in the yin-yang symbol above, ‘white’ represents sameness, ‘black’ represents difference. Linear-paradigm theory depends on sameness: it doesn’t work well with difference. Conversely, complexity-theory and suchlike will work best with difference: they tend to be somewhat misleading when they’re faced with too much sameness. So to identify the right type of theory to use in any given context, we need to know the extent to which there’s sameness at play, versus the extent of difference. Hence for this purpose, we use metatheory to select appropriate theory, according to the mix of sameness and difference in that context. 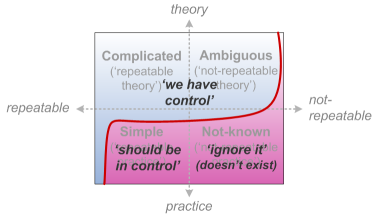 We also use metatheory to help us know when to switch theories – in effect using theory itself as a type of tool. 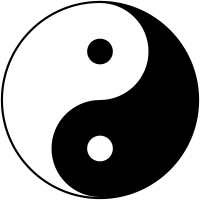 What the yin-yang symbol tells us, though, is that not only do sameness (‘white’) and difference (‘black’) interweave with each other, but that each also ‘contains’ elements of the other, fractally, recursively. Let’s illustrate this with the classic phrase “You can’t compare apples and oranges” – and show that, yes, we can, and no, we can’t, both at the same time. Same, and different; different, and same; all interweaving with each other; fractal, and recursive. Now let’s throw in another key concern: boundaries. Everything ultimately interweaves with everything else – a point we could demonstrate quite quickly in current physics – which means that, in theory, every element is affected by an infinity of possible factors. In practice, we fudge that fact, and place arbitrary boundaries around contexts in order to be able to make sense of what seems to be going on. Which is fine, as long as we never forget that those boundaries aren’t ‘real’, so much as confines that we choose. Consider apples and oranges: where’s the boundary? We could pick any one of those factors listed above. Or we could say that it’s about comparing single fruit, single trees, a single variety, a single orchard, a cluster of orchards, different microclimates, different fruit-crops within the same district, production for local use versus for global shipping, farmers versus fruit-processors, the food-industry as a whole, the financial aspects of globalised fruit production and distribution, the global food industry in relation to other industries – about anything we choose, really. We choose boundaries according to what we want to assess, what we want to do with that assessment – but the point is that we choose those boundaries. In assessing apples and oranges, but perhaps even more in enterprise-architecture, all boundaries are an arbitrary, subjective choice. The EA Hypothesis: The structure of and both intentional and unintentional relationships among enterprise systems has a direct and measurable influence on the rate of potential change and organizational cost of operating and maintaining those systems. As Nick says, “That simple statement is quite powerful”: it is indeed. 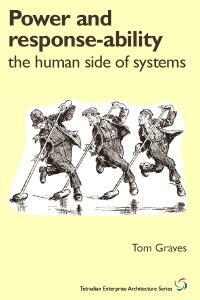 And as he also says, “it demands that we create a definition for ‘enterprise system'”, methods and more. We need to look at relationships, we need to measure ‘rate of potential change’ – yet first identify what we mean by ‘rate’, potential’ and ‘change’… – and also related concerns such as ‘organizational cost’. Clearly an enterprise system has to include socio cultural systems, information technology systems, workflow systems, and governance systems. Yes, okay, all of us in EA are all too well aware of why such factors so often end up being quietly shunted into the ‘do not discuss, do not even mention, it doesn’t exist, honest…’ basket. But even if we dare not mention them in the presence of our self-styled ‘masters’, we need to include those factors within our assessments – even if only ‘via stealth’ – otherwise our work risks becoming not only known-incomplete and potentially-invalid, but also potentially darn-dangerous as well. It’s also why we need to be very careful about the use – or misuse, rather – of the definite-article. It’s not ‘The Theory of Enterprise-Architecture’, but a theory of enterprise-architecture, one amongst many that we might use; it’s not ‘The EA Hypothesis’, but merely an EA hypothesis, one amongst many that we might use – and whilst those distinctions might seem petty at first, they’re utterly crucial, because without that discipline around even something as simple as the proper use of definite versus indefinite, we could easily define ourselves into an irrecoverable mess. You Have Been Warned, etc…? Nick ends his post with a ‘Next Steps’ section, all of which is solid good sense for that type of context: it’s what we need to do now, to build enterprise-architecture towards a true professional discipline. 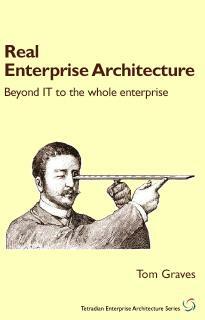 I strongly agree that enterprise-architecture needs a far better understanding of theory than it has at present. Yet what’s not in his post is this crucial distinction between theory and metatheory. As a parallel example, in quality-systems the first procedure we write is the procedure to write procedures; in parts of enterprise-architecture, the first principle we establish is the principle about the primacy of principles. In the same way, before we can develop appropriate theory for enterprise-architecture, we first need a solid theory-of-theory – in other words, of metatheory for EA. For our kind of context in EA, metatheory must come before theory: and we forget that fact at our peril. It might be helpful to recognize that these two views on theory (yours and Nick’s) come from contrasting research traditions, known in qualitative research circles as a different philosophical stances. As philosophical stances provide the assumptions in research methods, different philosophical stances produce different methods and approaches, which is further compounded by the factors arising from your contrasting cultural environments. In Nick’s world, which is heavily geared towards quantitative measures, qualitative approaches are typically dismissed as serious theory since results cannot be “proved” by numbers. As a result, many existing and extensive bodies of knowledge and organizational theories that are qualitative-research-based are likely to be ignored. Unfortunately, since no two organizations are structurally identical, the use of purely quantitative approaches for Enterprise Architecture can be seriously misleading, especially if the underlying “ceteris paribus” (all else being equal) assumptions are false. 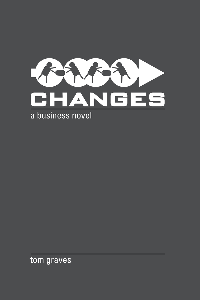 In practical terms, just because an approach to change worked in one organization, does not mean that it will necessarily work in another, even if the two organizations appear very similar. – working with the organization to deliver the desired future state. Thanks, Andy – yes, exactly. I’m very familiar with those ‘philosophical stance’ issues: I’ve worked in the futures/foresight domain for well over a decade now, for example, and similar problems / challenges in other domains for more like half a century. As you say, the crucial methodology-of-theory issue that’s so often missed in attempts at quantitatives in EA etc is ‘ceteris paribus’: in most cases we deal with, the other factors are not identical/equal, therefore ‘ceteris paribus’ fails, and the supposedly-certain validity of the quantitative-comparison along with it. As you also say, “using a discriminating subset of all possible theory” is key to making EA etc work. The process (theory and methodology) of selection of appropriate theory from that “subset of all possible theory” is what I’m describing here as ‘metatheory’. In any event, exploring qualitative issues need not necessarily preclude applying quantitative techniques. However, there are so many qualitative issues that would need to be normalized to come up with quantitatively valid predictions with respect to EA that I am unsure that it’s worth trying to come up with a ‘unified’ theory of it. On the other hand, what we may come up with is a set of comparative statements that may be applied as guidelines in given situations. Understanding management’s REAL goal in a given situation is an absolute necessity to understanding the effectiveness of the EA applied to the decisions made to reach the goal. I have worked in a number of organizations whose perverse goal seemed to be to NOT change, rendering EA efforts aimed at identifying transformation strategies not only moot, but antithetical to their goals. I like your SCAN map. If it were joined with a map of intent and then linked to outcomes, it might lead us to a heightened understanding of when EA was used well and worked and each of the other possibilities in a matrix of used well/used poorly and worked/didn’t. Ultimately, good intent and proper EA execution should lead to good outcomes. Otherwise, what are we doing here? Yes, strongly agreed on that. To me it’s crucially important that we dissuade folks from dropping back into ‘either/or’ thinking – it’s always a ‘both/and’. The trick, of course, is how to get the right balance of that ‘bth/and’ in each specific context… Will blog more on that, anyway. Yes please! – would you suggest how best we could do that? If so, we could add to the growing library of SCAN overlays – and could be useful to a lot of other people too. Strongly agree on ‘Images of the Organisation”, of course – that and other conceptual-level classics such as Lakoff and Johnson’s ‘Metaphors We Live By’. Any other recommendations for a mandatory reading-list on theory etc for EAs? Excellent post and excellent analysis particularly in relation to SCAN. 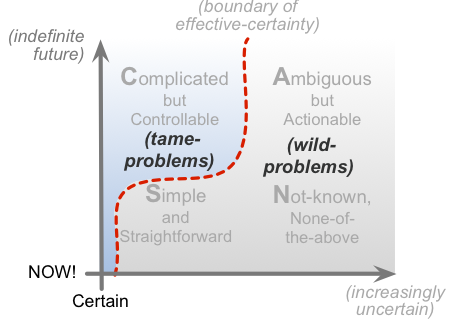 People (and managers in particular) are often looking for simple theories for simple system, where they are actually dealing with complex systems and wild or wicked problems. A simple theory will not be effective. It’s because we are usually dealing with complex and wicked problems that we need enterprise architects in the first place. If there was a single simple theory of EA then those managers would use it as an excuse to get rid of enterprise architects. 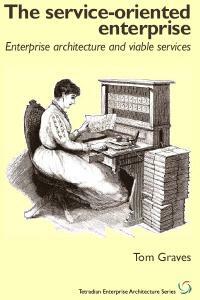 I like the idea of looking for a collection of patterns and principles rather than one ‘single’ theory of EA. At any one point, for a specific context, only some of the patterns and principles will be useful, while others will not be. I’m also a firm believer in multiple future target enterprise architectures instead of a single target (real problems don’t follow a linear paradigm). That way alternatives can be explored and compared. Perhaps a theory of EA should be more about (methods for) comparing future target enterprise architectures (gap analysis, impact analysis and designing EA roadmaps etc.) and assessing the viability of the chosen alternative target enterprise architecture? I was also reminded of a post I previously wrote about the Viable System Model (VSM) as a potential theory for EA. Adrian – thanks, of course! And that’s yet another crucial point that far too few managers-and-others seem to be able to grasp: they’re endlessly looking for The One Silver Bullet That Will Solve Everything (or Chris Lockhart’s wonderfully-ironic ‘SUFFE™’, the ‘Single Unified Framework For Everything’), point-blank refusing to accept that by definition it cannot exist (other than in a form so abstract as to be no use at all…). Contextuality really is king in the EA context, there should be no doubt about that. Oh well. In part I came to EA from a futures background (the Shell concept of ‘scenarios’, for example, rather than TOGAF’s concept of ‘scenario’ as slightly-larger-scope use-case) and its fundamental assertion that ‘futures’ is always a plural and that the whole notion of ‘prediction’ is inherently problematic even before it starts. Lots more we could talk about that somewhen soon, perhaps? – about more deeply embedding futures-concepts into EA practice? 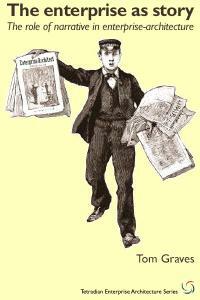 Thanks for the VSM link – yes, strong recommend to others on that! Great post. Two comments. Feyerabend went through me like a steam train when I read Against Method some years ago, it was a powerful factor in re orienting my thinking from years of positivistic linear cause and effect thinking. I recommend it to anyone reading this blog. Secondly, I see the quest for a unifying theory of EA as akin to the decades old quest for a unifying theory of design. .. only a relevant consideration for toy or isolated domains of practice and largely discredited in light of a wide range of post rational philosophical perspectives, such as constructivist views of reality in which the subjective nature of observation is acknowledged. Yes, sort-of. At the surface-level that is all that most people seem to look at, certainly. What I’m looking at here, though, is kind of the next layer(s) upward from that: the level at which ‘post rational philosophical perspectives’ are themselves disciplines and methods with their own approaches to theory-and-practice, which in turn is recursively subject to assessment and refinement via their own theory-and-practice. The sense in which ‘Against Method’ is itself an expression of method, for example. I agree about scenarios and follow the original Shell approach and don’t view a scenario as a large Use Case. Thanks for the link to the Shell website, Adrian – very useful. The site used to contain a fairly detailed description of their methods and methodology, which doesn’t seem to be there any more 🙁 – but the ‘What Are Scenarios‘ and the rest of that section in general do probably provide enough of a basic overview about how proper futures-based scenarios-work is done, and why. Thanks for those references, Peter – and yes, good point about “thinking in (what-if) questions instead of thinking in methods”. Thanks again for a thought-provoking piece. I view EA as a discipline, not a science. And I wholeheartedly agree that the messiness surrounding EA has to be part of the equation: the layers of management, politics, “tyranny of the urgent” where tactical operations run supreme, etc. Those are the things that cause EA to come apart at the seams, no matter how well thought-out or well-intended. Throw in a good dose of political fire-fighting and all of the progress — and reputation of EA — can go up in flames. I have never found a good way to predict or quantify when and where those will happen to the point it could become part of some equation. Again, it’s the same as the difference between ‘prediction’ (which does sort-of work with tame-problems) versus ‘futures’ (which recognises and respects the inherent wild-problem nature of ‘the futures). Hence those techniques and disciplines are so important in our disciplines of EA and the like.